Managing Products Visibility can come in handy when you maintain multiple points of sales and you need to stop selling a product is any one of them or you may want to disable it for a time being. Shopify comes with a very easy option to change the product visibility from its panel. You can change the product visibility either individually or bulk update multiple products visibility. With that being said, let's delve into the details. Login to the Shopify Panel. Clicking on the “Manage” link would display a popup “Manage sales channels availability”. 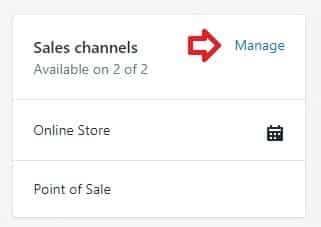 If you have multiple sales channels configured, you can specify on which sales channel you want to product to be not available by just unchecking the checkbox that is present near the respective sales channels. Checking these checkboxes would just make the products visible on those channels. Once you click on the “Done” button and save the product, it would stop displaying on those Sales Channels. Bulk updating product visibility is also very simple. On the products listing page, just click on the checkboxes to the left of each of the products. Clicking on the Actions button would display a drop-down. 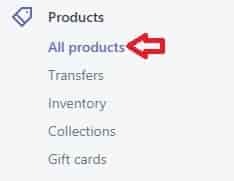 You can either choose “Make products available” to display the products in the sales channels or choose “Make products unavailable” to stop selling the products. Clicking on any one of the options would display a popup wherein you can choose the Sales Channels. Check or Uncheck the checkboxes corresponding to each of the sales channels and click on the “Make products unavailable” or “Make products available” button. Once the settings have got successfully saved, the product's visibility would get displayed below the product title in the list page. You can also manage the product's visibility by configuring the Inventory. Select the products using the checkboxes corresponding to each of the products and clicking on the Actions button would display a drop-down. You can choose “Stop selling when sold out“ or “Continue selling when sold out”. 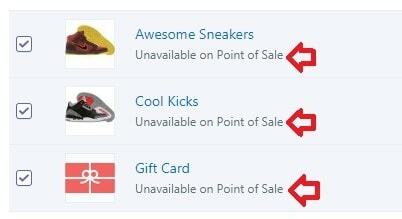 Choosing “Stop selling when sold out” would stop the products from getting listed in the Catalog once the product is Out of Stock and “Continue selling when sold out” would list the products in the catalog even when it is out of stock. Managing this would help you prevent unwanted refund processing if products got sold when it is out of stock.